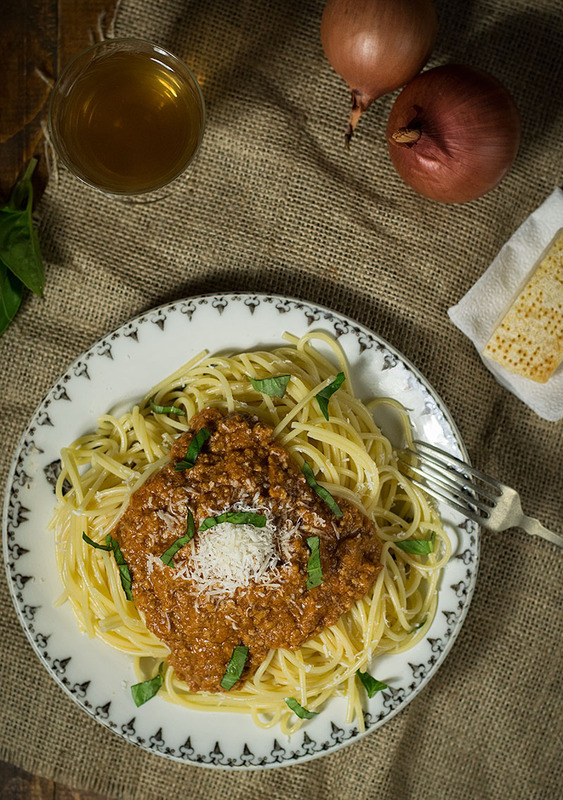 This bolognese sauce is a simple, delicious recipe for an everyday, hearty dinner! 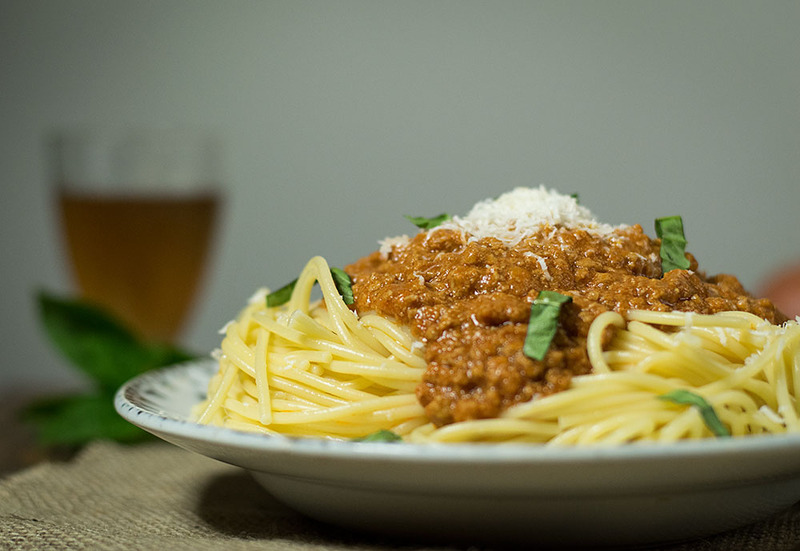 This recipe for bolognese sauce is maybe the one I make at least once or twice a month. It’s the answer to my problems when I’m struggling to find out what I’m going to cook for the next day! 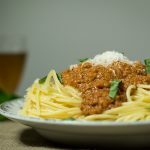 And back on the days when I hadn’t this blog, spaghetti Bolognese was a dish I enjoyed even more often… Now, I’m always searching to find new recipes to try, which is both a bad and a good thing. Good because I’m exploring new worlds (30 minute Thai style chicken alert!) through cooking, and bad because as I said, I’ve limited this recipe to once or twice a month! But first thing first; Happy New Year to everyone! For this year, I wish that each and every one may see his dreams come true and accomplice even more things than he has planned! I also wish that humanity tries at last to co-exist in peace, regardless our personal differences, and that there are no more so many hungry mouths throughout the world. This is my first post of 2017, and I chose my mom’s recipe, since I believe it will bring me lack 🙂 There’s a Greek tradition claiming that if the first person who walks inside your house at New Year’s Day is lucky, then a lot of good things will happen to you! So, this post is the equivalent of my mom entering my Blog’s Door! A lot will say that this is not the original recipe, and I agree. But I guess, at least as far as food is concerned, staying inside the boundaries of originality will always be a matter of personal preference, and you’ll always find that some people like one thing while some others like something slightly or totally different. 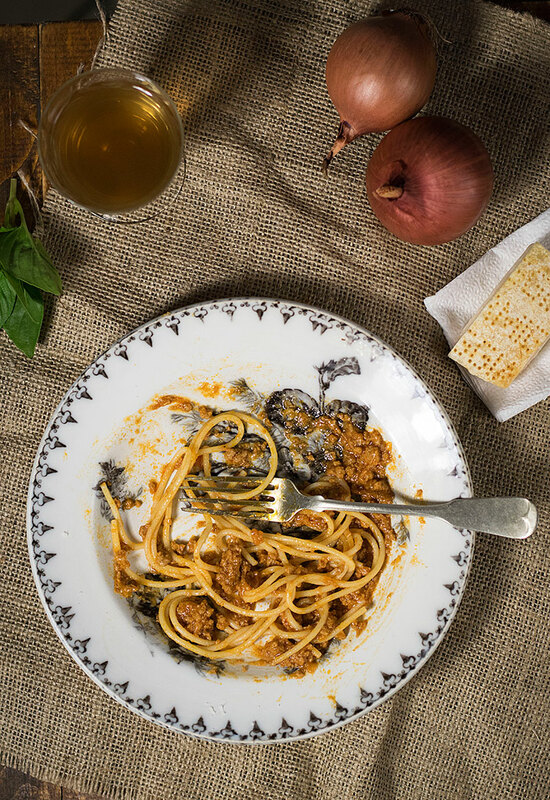 Do keep in mind though that this recipe is absolutely, mind blowing-ly delicious! So, I’d suggest you try this version and tell me what you think! In a lot of ways, this reminds me the debate in Greece, always taking place around the holidays, about which cookie is better; Honeyroons or almond snow cookies? Have you tried any of them? What’s your favorite? Let the sauce simmer slowly for a long time, for the flavors to develop! If you’re worried about the wine, alcohol boils in lower temperature than water, so all of it will evaporate during cooking! 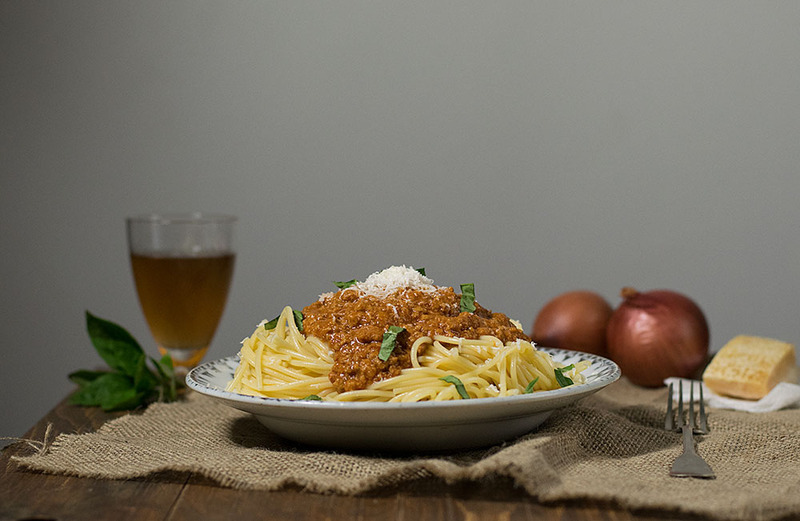 This bolognese sauce is a simple, delicious recipe for an everyday, hearty dinner! This is one of the best comfort foods for the whole family! In a deep pot/pan heat the oil over high heat and add the minced beef. Let it sauté, and with a spatula break any lumps that have formed. Let all the juices evaporate and sauté some more for the meat to brown/caramelize a little and the flavor to develop. Reduce heat to medium and add the onion and carrot (if using). Stir until translucent and then add the garlic, tomato paste, bay leaves, cinnamon, cloves and allspice. When it starts to boil, reduce heat to low and simmer until almost all of the liquids have evaporated and a thick sauce has remained. Remove and discard the bay leaves, cinnamon, all spice and cloves (if you used whole cloves and all spice kernels). 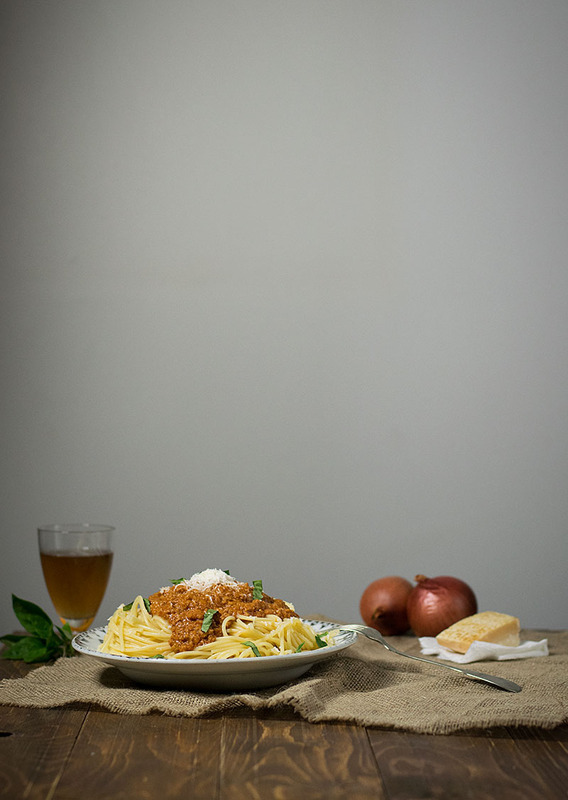 Serve with the pasta of your choice, some grated parmesan and parsley or basil.